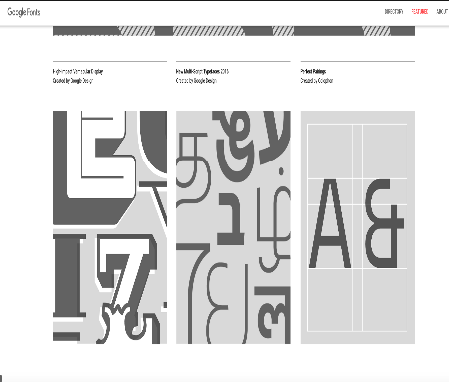 Google has recently revamped its popular fonts site ‘Google Fonts’. The site now has a user-friendly layout that allows you to easily navigate its directory that includes over 800 fonts. It offers a dynamic grid where you can preview fonts, select fonts you like, use preview text to test them and many more. Fonts are organized into five main categories (Serif, Sans Serif, Display, Handwriting, Monospace) accessible from the left-hand sidebar. You can also filter your font search by sorts, languages and number of styles.